If you are arrested and don’t speak the language of the court, you have the right to assistance from a professional interpreter. This right is explicitly stated in Canada’s Charter of Rights and Freedoms. In the justice system, it is recognized that effective communication – which includes language interpretation – is necessary for meaningful participation in the legal process. Just like in legal settings, a patient’s ability to understand and participate in their own health care is critical. Yet, many Ontarians do not have access to care in a language that they understand. Why is it that in health care settings, this right is often unrecognized? Ontarians take pride in being the most multicultural province in Canada. Our province is home to over 50 percent of Canada’s newcomers. 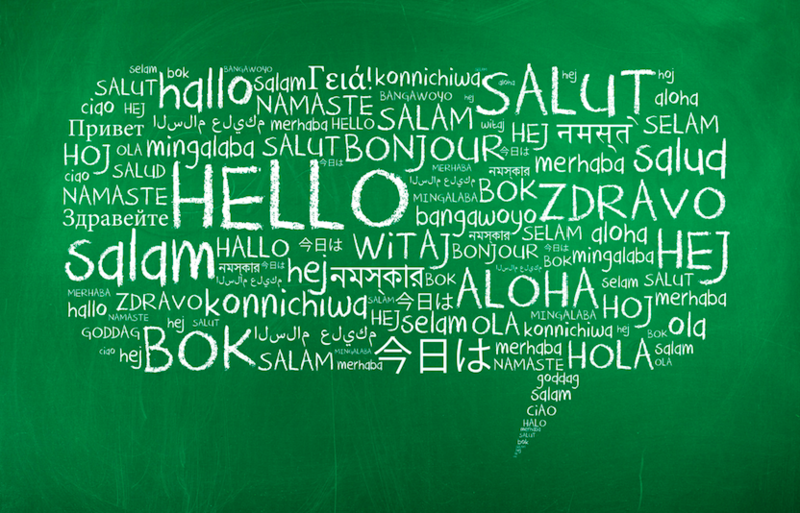 Nearly 15 percent of households speak a non-official language at home, and this number is expected to grow over time. Our cultural and linguistic diversity is celebrated and protected through the Charter of Rights & Freedoms, the Ontario Human Rights Code, and the Canadian Multiculturalism Act. However, linguistic diversity also poses challenges when it comes to health care. In Ontario, patients who speak non-official languages often do not receive language supports such as medical interpreters. Our system for delivering medical interpretation is haphazard and inconsistent. Health care providers receive little guidance or financial support for providing these essential services. This can have a detrimental effect on patients. Evidence shows that people who have language barriers receive poor quality care with a greater risk for medical errors, unnecessary tests, and adverse reactions to treatment. Beyond the negative health implications, lack of language supports means that patients can’t participate fully in their care. This compromises the fundamental right that all patients have to make informed decisions about their treatment. Denying patients with language barriers the right to informed consent is discriminatory. How can we build a health care system that respects the autonomy of all patients, regardless of what language they speak? What does informed consent mean in health care? According to Ontario’s Health Care Consent Act, 1996, there are four key components of informed consent: (1) the consent must relate to treatment, (2) must be informed, (3) must be given voluntarily and (4) must not be obtained through misrepresentation or fraud. When a patient cannot adequately communicate with their provider due to language barriers, these criteria cannot be met, and the entire consent process is compromised. Without professional interpreters, can patients with language barriers be considered truly “informed”? Patients may not be able to understand the benefits or risks of treatment, and cannot ask their health care provider questions. Untrained interpreters, such as family members, may not understand medical terminology and this could lead to inaccurate information. When family members act as interpreters, it can also undermine the patient’s autonomy. Family members may communicate health care decisions that do not fully represent a patient’s choice, blurring the line between interpreter and decision maker. What are the obligations of the health care system when it comes to language? By compromising the ability for patients with language barriers to give informed consent, we are allowing for discrimination in the provision of care. The Charter of Rights and Freedoms states that, “every individual…has the right to the equal protection and equal benefit of the law without discrimination.” Similarly, Ontario’s Human Rights Code prohibits discrimination on the grounds of ancestry, race, colour, ethnic origin, and place of origin. The Ontario Human Rights Commission recognizes that language barriers disproportionately affect ethnic minority groups because language is closely linked to ancestry, race and ethnic origin. These commitments to human rights are binding – service providers have an obligation to treat everyone equally. The Supreme Court of Canada has determined that hospitals and medical services are implementing government policy, and are thus obligated to uphold the Charter and support all patients. Ontario has a clear legal responsibility to deliver health care without discrimination to its multicultural communities. What Should Ontario’s Next Steps Be? It’s time to make good on Ontario’s commitment to inclusivity and diversity by ensuring that all patients, no matter what language they speak, have equal access to good health care. Policy-makers and program planners can learn from initiatives and organizations in Ontario that are already offering services and supports. For example, the Toronto Central LHIN has spearheaded an extensive telephone language interpretation service that hospitals and health care providers can access. Major hospitals such as CAMH offer robust in-person interpretation services, with training requirements that ensure that interpreters are able to respond to patients’ cultural needs. As other Ontario communities experience demographic change with more non-English speaking residents, it will be critical to ensure that language supports are available across the province. Technology-assisted interpretation, such as telephone and video-conferencing, can be another method for delivering language services to all patients who need them. As Ontario’s health care system pushes towards excellent care for all, language accessibility must be a priority. No matter what language patients speak, they must be able to actively participate in their health care. We have a strong foundation to work with. Now is the time to develop a strategy that ensures equitable health care services for all of Ontario’s diverse communities. Nishi Kumar, Nazeefah Laher, Anjum Sultana & Anjana Aery are Junior Fellows at the Wellesley Institute and currently working on a project on the impact of language interpretation on health outcomes.